Everything! 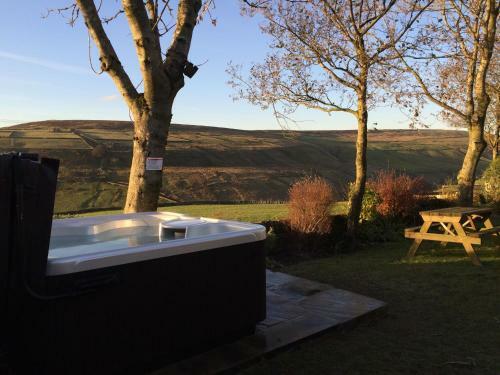 The views, the location, the hosts & welcome, the fresh eggs & the hot tub . . . The Gibraltar Farms cottage is an amazing getaway nestled in scenic Hebden Bridge, UK. Paula is an amazing host! She welcomed us warmly and helped us around town to find our bearings the first day. As soon as we arrived we had a good vibe about the place. The hosts were very friendly and approachable, nothing was too much bother. 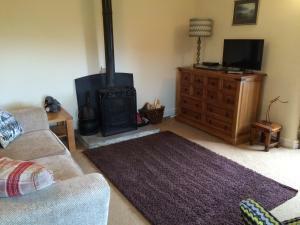 The cottage was very cosy and well equipped, log fire and hot tub a bonus! Fabulous location with lovely views. Can’t wait to return and would recommend to anyone. Hot tub was nice and warm, great views over the hills. Walking distance to great walking routes. Very good shower. Free wood for the log burner. Fully equipped kitchen. Met by Paula the host who was lovely and could ask her about anything about the property and where to eat out etc. The shower was amazing... the views from the front windows was a delight. The bed was so comfy and the sofa bed was brilliant if you like chilling in bed watching tv with a log fire burning.the walk from the cottage to hebden bridge was beautiful, the waterfalls and river at the bottom is something everyone should see!!! The village is so beautiful and the pubs are great too. 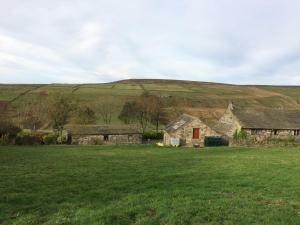 The views were lovely the property was perfect and the local pub is a must for meals.Hosts were welcoming and friendly.Will stay again. Everything was amazing. The hot tub looking over the fields was spectacular. The owners were lovely and even sorted a birthday cake for us. Would definitely recommend to anyone who wants a quiet chilled break away from the hustle and bustle of city life. 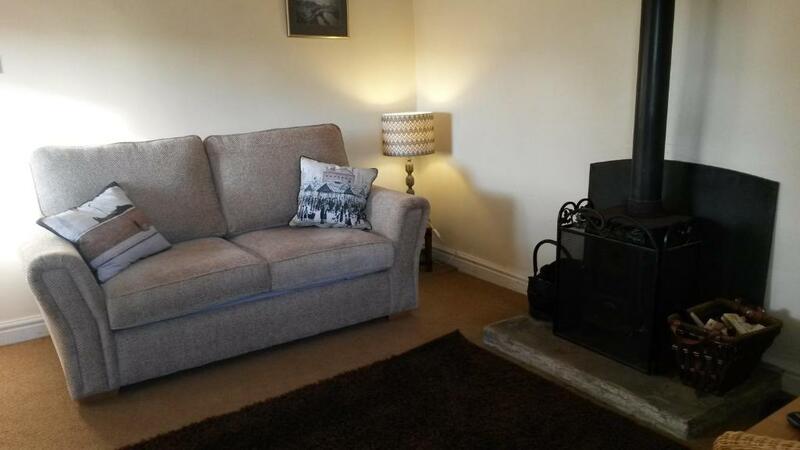 Lock in a great price for Gibraltar Farm Cottage – rated 9.8 by recent guests! One of our best sellers in Hebden Bridge! 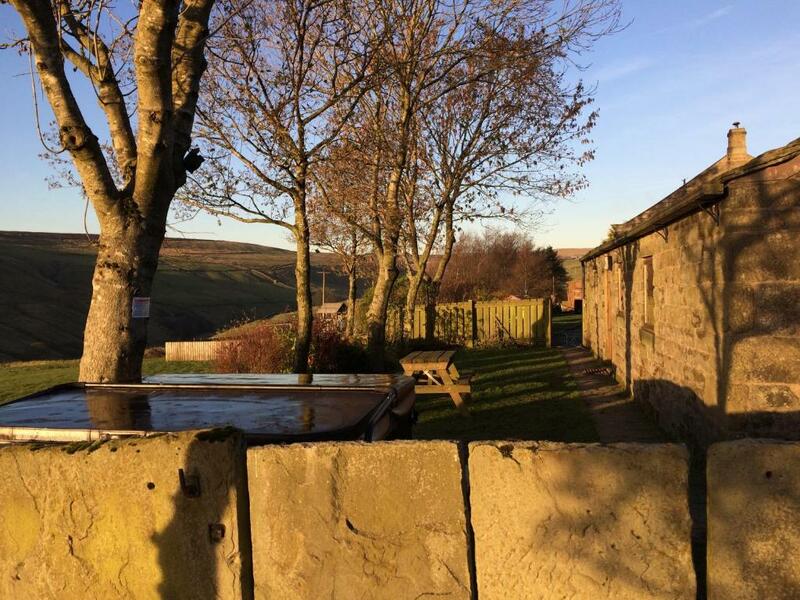 Located in Hebden Bridge, Gibraltar Farm Cottage is a holiday home boasting a private hot tub onsite. The unit is 23 mi from Manchester. Free private parking is available on site. Other facilities at Gibraltar Farm Cottage include a barbecue. Leeds is 19 mi from Gibraltar Farm Cottage, while Harrogate is 24 mi away. The nearest airport is Leeds Bradford International Airport, 16 mi from Gibraltar Farm Cottage. 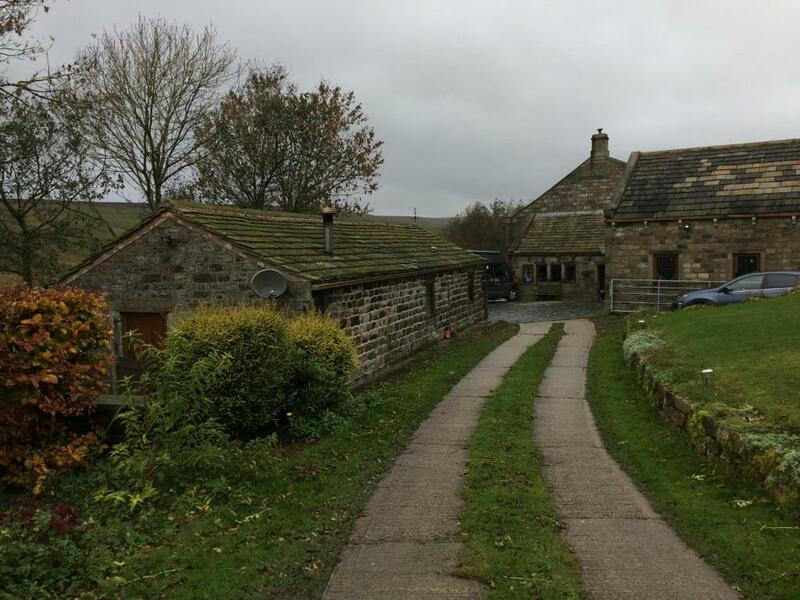 This property also has one of the top-rated locations in Hebden Bridge! Guests are happier about it compared to other properties in the area. 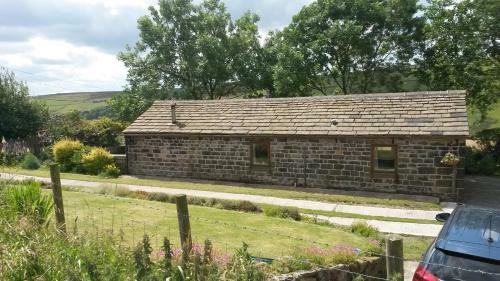 This property is also rated for the best value in Hebden Bridge! Guests are getting more for their money when compared to other properties in this city. 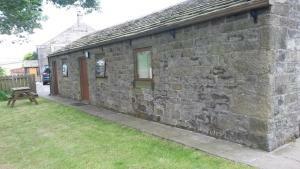 When would you like to stay at Gibraltar Farm Cottage? This holiday home has a private hot tub onsite. 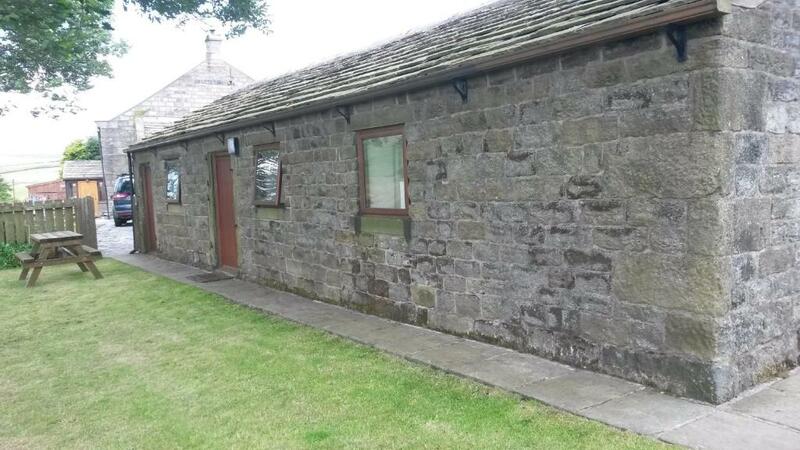 The cottage is a well equipped and cosy 1 bedroom property which enjoys uninterrupted views across the Crimsworth Valley. Use of our family hot tub provides the perfect tonic after a day of activity in the great outdoors or local shops alike. Hi, a former accountant I am now a stay at home Mum of 3. When i'm not being Mum I love to be out and about enjoying the hills running or biking taking my cocker spaniel along with me. House Rules Gibraltar Farm Cottage takes special requests – add in the next step! Please inform Gibraltar Farm Cottage of your expected arrival time in advance. You can use the Special Requests box when booking, or contact the property directly using the contact details in your confirmation. The only downside is the Wi-Fi didn't work and there was no phone signal, and the TV was very temperamental, this could have been down to the high winds. No hand wash in the toilet. Visited early Feb weather was a bit miserable but cottage lovely and cosy. Peaceful and relaxing atmosphere peeeeeeerfect! Amazing location. Perfect setting. Host was amazing. Nothing too much trouble. Hot tub was perfect remedy for relaxing break away. Only thing I'd say is its poor phone signal but we expected that and it didn't bother us at all! Going home after just 2 days.